How Do I Get My Food? Et toi, qu’est-ce que tu vois? Greg Cradick contributed a set of three quiet portraits of weeds collected within a small perimeter of his home in the dead of winter. Within the SEED :: disperse installation at the Dairy ARTS Center, the trio became a nexus point for the transition from the impacts of industrial agriculture to the ‘garden’ area of the gallery, where artists expressed the potential of seeds. 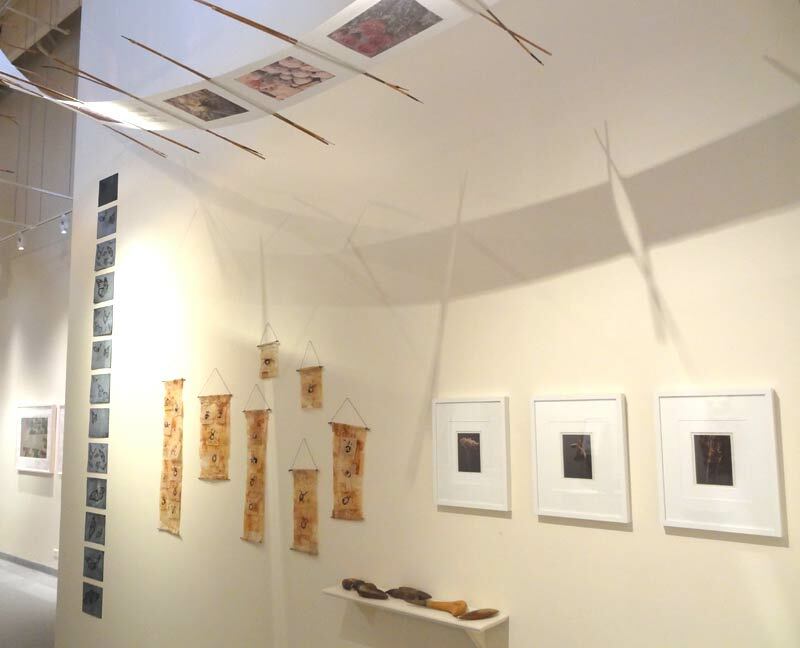 To the far left of the above installation view, Evan Anderman’s view of monoculture crop production in Eastern Colorado is flanked by a column of monoprints created as a collaboration between Susanna Mitchell and Lee Lee which depict ashen monarchs to suggest the decimation of pollinators because of industrialized practices. Cast under the shadow of Sybille Palmer’s scroll which presents a long list of southwestern plants on the verge of extinction, Sienna Sanderson’s ‘Seeds searching for a safe place to land’ are presented next to Greg’s portraits of the resilience expressed by the commonly overlooked weeds that surround us.